I have been catching up on some of the talks from the 2016 Microsoft Ignite conference, and amongst all of the great talks there was one that caught my eye, it is the one about the Microsoft Graph and how it can power up today's applications Access the Microsoft Graph API to supercharge your Line of Business Applications. 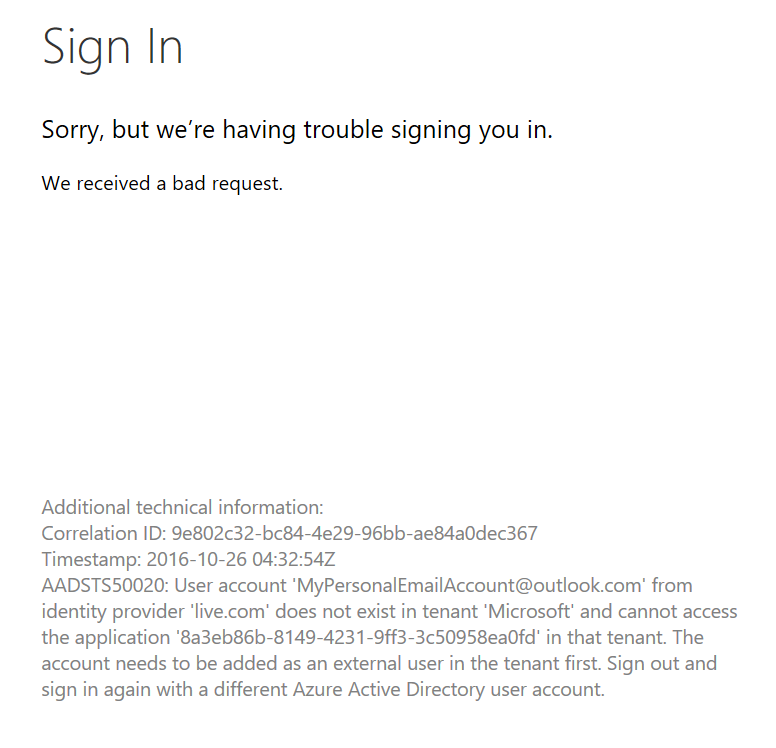 I had read a bit about the Azure Active Directory Graph but this one seemed different since this Graph API was connecting with Outlook, Exchange and Active Directory. So I was hooked! Shortly after watching the Ignite talk, I went on a web hunt to dive into some code and understand how the Microsoft Graph worked and how I could get started developing on it. However, I found that the information I needed to just get started was sprinkled across many different sources. 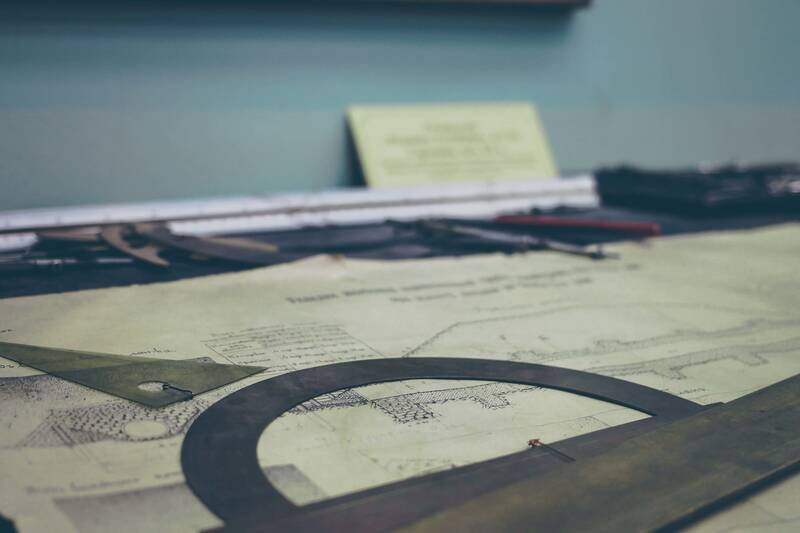 Also, there were a few things that I overlooked, such as the differences between Azure AD Graph and Microsoft Graph, that took me down the wrong path for a bit before I realized I needed to stop and get my bearings before continuing forward. So hopefully this post will help to demystify some of the questions you might have about the Microsoft Graph, which perhaps are things that may be familiar to those that have been involved with the Microsoft Graph for a while, but that may not be as well known for those who are just getting started. But enough talk, let's dive in! 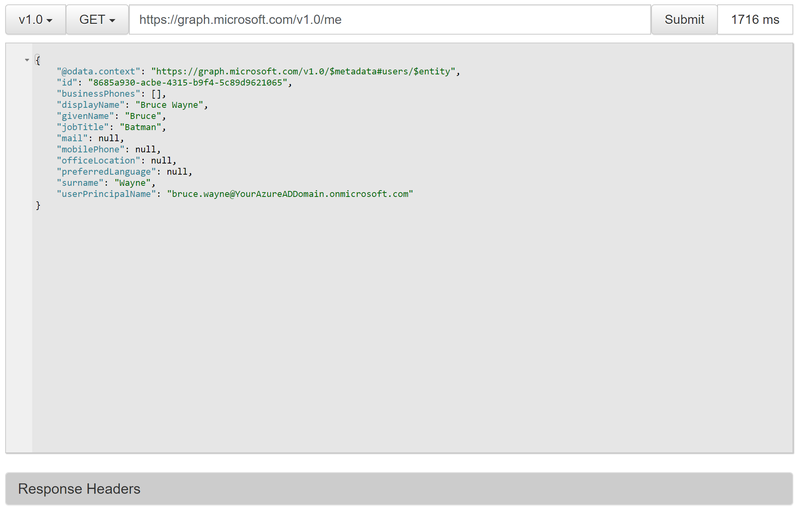 When you get started with the Graph API, you are going to find that there is actually a 'Y' on your path: The Azure AD Graph and the Microsoft Graph. Having two Graph offerings has obviously caused a lot of confusion, but fortunately the Microsoft Graph Team addressed this in a blog post that explains the differences between the two, you can read all about it here: https://blogs.msdn.microsoft.com/aadgraphteam/2016/07/08/microsoft-graph-or-azure-ad-graph/ I recommend that you read that blog post for the official news on where the Graph API roadmap is heading. 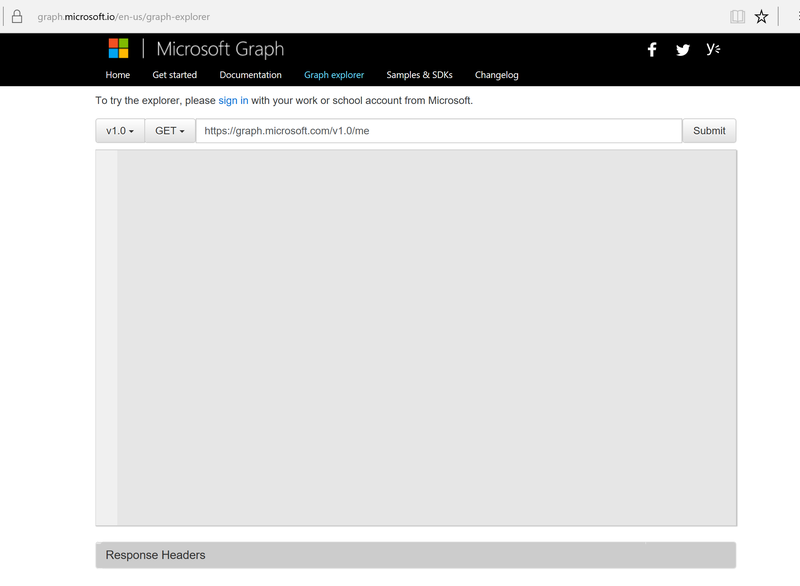 However, if you are starting a new project or just getting to know the Graph API, then I would recommend sticking with the new Microsoft Graph. 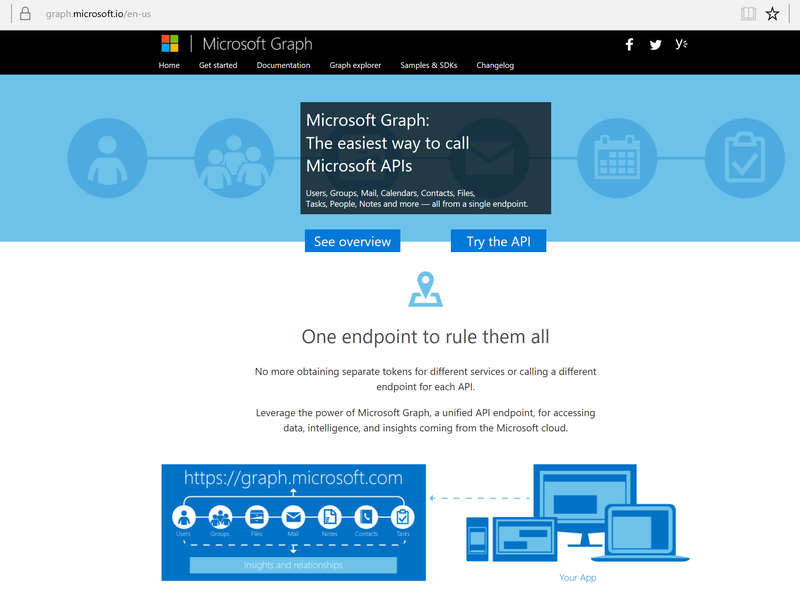 As the Microsoft Graph team makes it clear that they will in the future be recommending the usage of Microsoft Graph over the Azure AD Graph, so it's a safer bet to follow that recommendation in my opinion. Note that there are currently two authentication endpoints supported by the Microsoft Graph: The Azure AD and the Azure AD V2.0 endpoints. 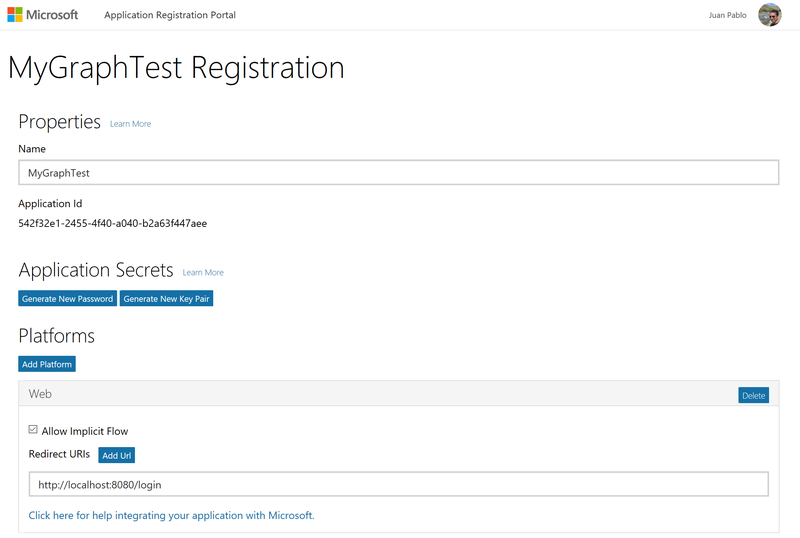 The Microsoft Graph documentation actually explains this in detail and I recommend you read the documentation which is pretty good: https://graph.microsoft.io/en-us/docs/authorization/auth_overview Essentially the Azure AD v2.0 endpoint allows you to authenticate your applications using both, work & school (Azure Active Directory, e.g. 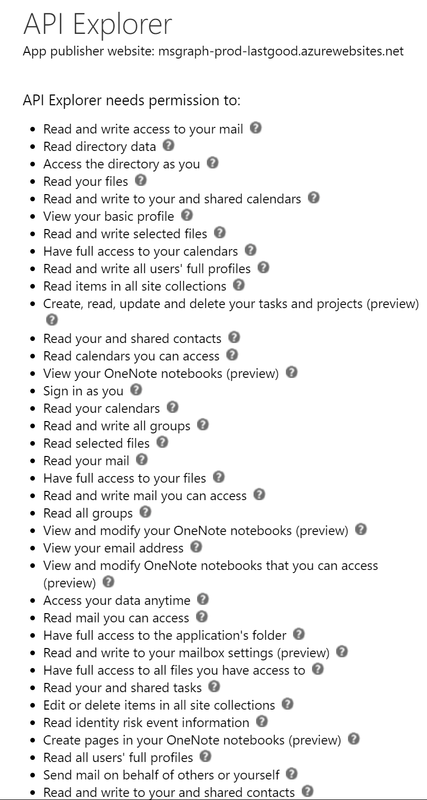 myaccount@mydomain.onmicrosoft.com) accounts and personal (Microsoft Account, e.g. myaccount@outlook.com). 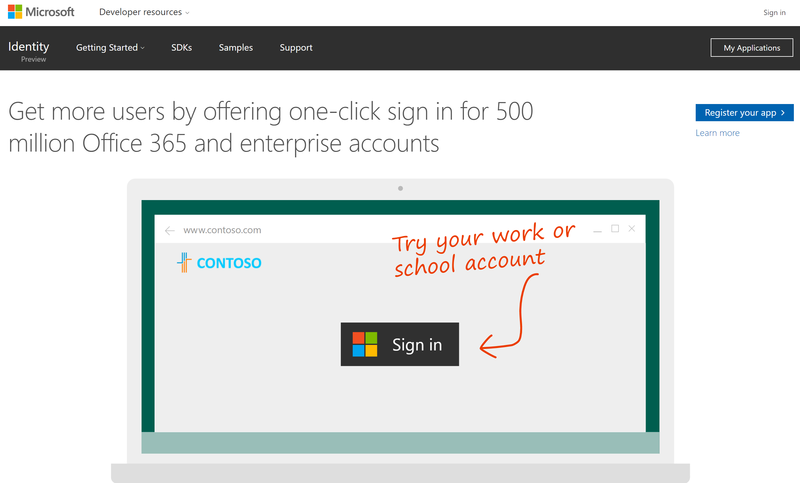 On the other hand, the Azure AD endpoint can be used only for work & school accounts. It is important to mention that the Microsoft recommendation for new applications going forward is to use the Azure AD V2.0 endpoint, as it provides significant improvements and advantages such as...well, you guessed it, being able to authenticate work & school or personal accounts. :) I had to dig just a bit to find that recommendation, but you can read more about it here: https://azure.microsoft.com/en-us/documentation/articles/active-directory-v2-limitations/ This brings me to my next point, about which account you should use to actually access the Microsoft Graph for testing purposes. Again, this may not be what you want to do at all in a production tenant, so more reason to always use a test tenant when conducting these deep ocean cave diving adventures. Another nice thing about this new portal is the simplicity of how you can apply the 'Implicit Flow' to your application registration by clicking on a simple check box: Allow Implicit Flow, very nice! In any case, I hope that some of this information was useful and will help you in getting started on your journey through the Microsoft Graph. 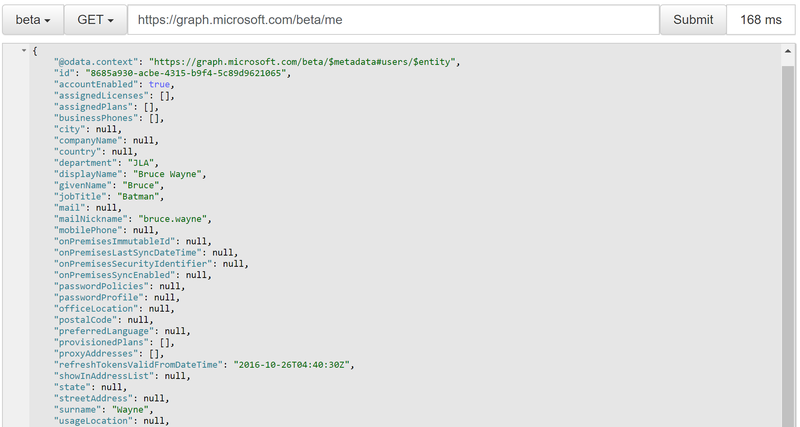 I look forward to diving in deeper into the Microsoft Graph API and sharing my findings with the community.